Rail gauge rod is a kind of steel member that is used to connect two rails together at the bottom of a rail gauge rod so as to improve the lateral stability of rails and improve the gauge-keeping capacity of the railway track. Not all sections of the railway track are needed to install the rail gauge rods. Only in the special sections whose curve radius are less than a certain value or in the station yards or in other special areas we need to install the gauge rod. The general design will be usually given the specific requirements according to The Design Requirements of Railway Track and The Code for Quality Acceptance Standard of Railway Engineering Construction. The rail gauge rod is divided into the ordinary rail gauge rod and the insulated rail gauge rod by different materials. The ordinary gauge tie rod is usually used in a turning corner or switch section. Through the pulling force, it can avoid the outward diffusion of the rails as the locomotive is running through. According to the effects on rails by the rod, it can ensure that the locomotive and the train pass the section safely. For some railway lines with track electro-circuits, the insulated parts must be designed in the rod to separate two rails. Therefore, railway engineers invented the insulated gauge tie rods. The largest effect of the insulated gauge rod is to make its middle part get the insulation in order to achieve the purpose of track insulation. To play a role in blocking the circuit between the two rails, the insulating materials are with high insulation nylon resistance materials with standard size, high lateral stiffness, good insulation properties, tensile strength and other advantages. 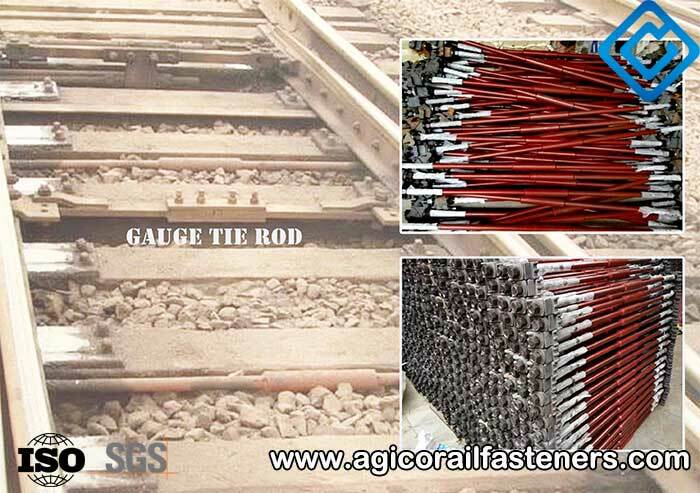 The insulated gauge tie rod is a special tool for railway rail drilling. It is applicable to a wide range including the maintenance operations. 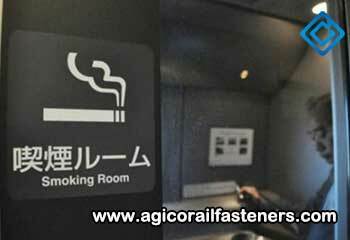 When the card is installed, the installation is accurate and the detachment is quick and fast, which can guarantee the safety of the train driving. It can be processed by the high-speed alloy steel hollow drill. The drilling is short in time with the features of high precision and long service life. The manufacturing machine adopts the spindle cooling structure equipped with high-pressure cooling pot. In accordance with the different gauge distances, the gauge rods can be divided into 762 gauge distance, 900 gauge distance, 1450 gauge distance, Diameter 20, Diameter22, Diameter32, Diameter 36. The other shaped gauge rods can be custom-made. Usually, the rod is mainly used in switch areas. 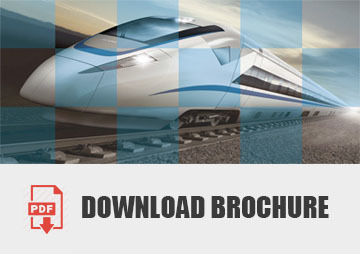 Its biggest role is to reduce the rail longitudinal stretch to maintain the product gauge. It is a whole rod connecting the two rails. It can do mainly the lateral stability increase of rails and increase to keep the gauge-keeping function of the track. The rail gauge rods include the following types in China: 18×870 type, 20×870 type, 22×880 type, 22×1050 type, 24×1050 type, 24×1250 type, 28 x 1810 type, 28×1850 type. According to the different track types, the gauge tie rods can be divided into: 8kg/m type, 12kg/m type, 15kg/m type, 18kg/m type, 22kg/m type, 24kg/m type, 30kg/m type, 38kg/m type, 43kg/m type, 50kg/m type, 60kg/m type used for switch rails According to the different turnout numbers, the gauge tie rods can be divided into: No. 2 type, No. 3 type, No. 4 type, No. 5 type, No. 6 type, No. 7 type, No. 8 type, No.9 type, No. 12 type used for the turnouts. The gauge tie rod is an important part of railway lines. If the rail gauge rod is lack, the gauge will arouse the deviation. The train on the track will cause the train derailment possibly. The consequence will be unbearable to the imagination. In order to ensure the track gauge has no errors, we should use the gauge rod to fix the rails. This is the function of the gauge tie rod. The rail gauge rod can apply a pair of equal and opposite forces along the axis of the rod shaft, and then the rod will get the axial elongation (or shortened) deformation. This deformation is called axial tension. The axial tension or compression of the rod is called pulling rod or pressing rod. At the rod joints every certain distance the special-shaped reinforced steel bar shall be laid on the central board. Its role is to prevent the expansion of the rail tie plate and the longitudinal seam gap. For the middle part of the gauge tie rod shall be done anti-rusty treatment in the range of 10cm. The size of the rod and its spacing can be selected according to the provisions of the outside distance. The rod joints or the free edge distance is generally 25-35cm. 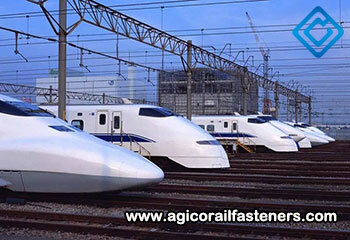 AGICO Group owns rich experience and advanced equipments in manufacture industry of rail gauge tie rod. Now we have manufactured many rail gauge rods for foreign clients. In addition, we can make various customized rail gauge rods in strict accord with different standards or according to the drawings and requirements of clients. They are exported all over the world. Depending on more than ten years export experience, we can offer the most competitive price and highest quality for our customers all over the world because we are factory. In the other side, we can deal with the international business freely because we have an experience team in international department. They can offer the best service for our customers. We sincerely seek for reliable cooperators abroad to market the world. Welcome to contact us!